Been near a billboard recently? 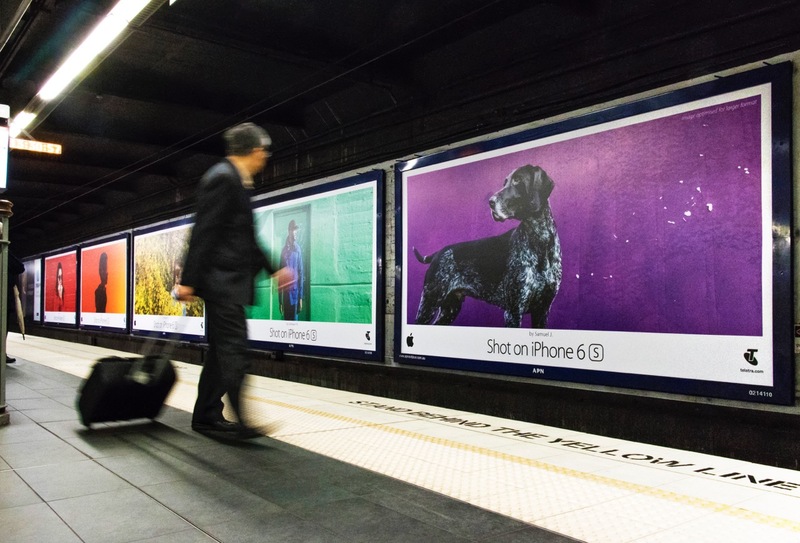 You’ve probably seen some magnificent photographs with “Shot on iPhone” plastered underneath. As a photographer, you may have felt a pang of envy; why aren’t your photos up there for the world to see? 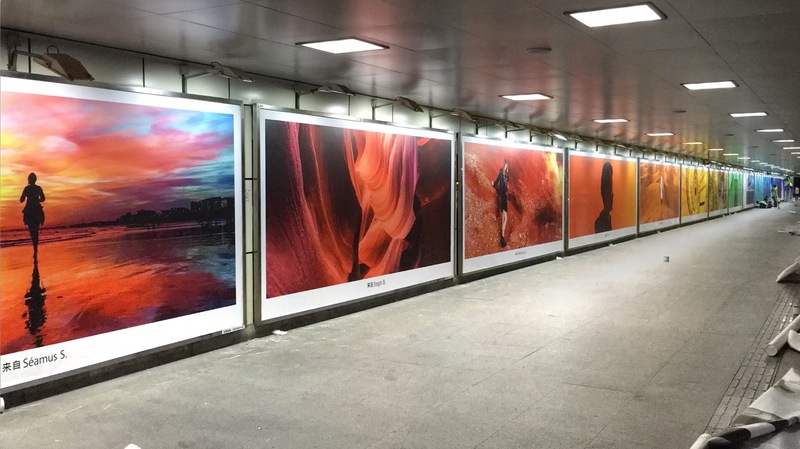 I tracked down Jordan Ison, one of the photographers featured in Apple’s most recent campaign, to find out how his images came to be featured in the world’s biggest art exhibition. When the budding photographer did reply to the email, the first thing the agency did was to put an incredibly strict NDA in front of him. He signed, meaning he couldn’t talk about anything, to anyone, for any reason; in fact, Ison was hesitant to even name the agency. While Ison never told me the name of the agency, it’s public knowledge that the advertising agency in question is TBWA, using their Media Arts Lab sub-brand to reach out to photographers. Ison started his photographic journey when he first bought an iPhone 4. 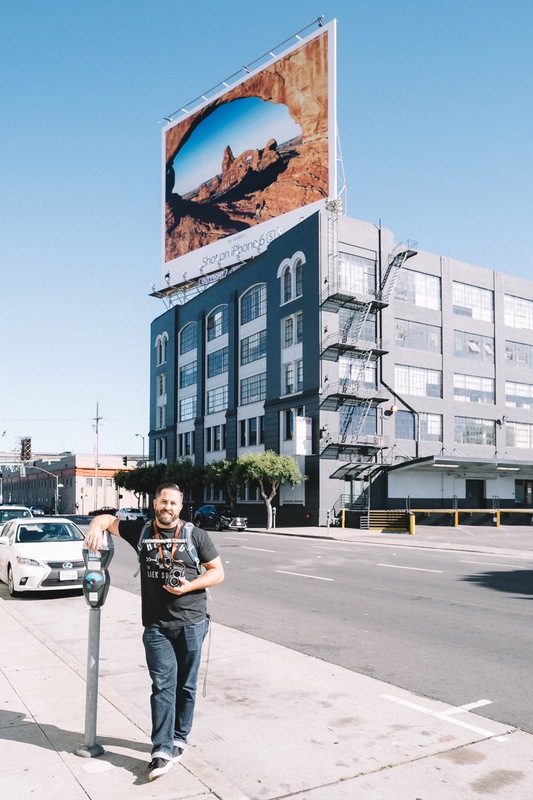 Jordan Ison in front of a billboard in San Francisco featuring his photo. From the start, Ison was tagging his photos on Instagram, including the #shotoniphone hashtag. That was the beginning of a habit that would eventually land his photographs on billboards all over the world. The agency contacted potential participants in the Shot on iPhone campaign with a very simple message. “My client wants to use your photograph for something they are doing,” the emails read, cryptically. The project only had a codename — which Ison declined to share with me, which seems straight out of a spy movie to me. “The process was interesting. They gave me nothing to go off of. They didn’t say it was the Shot on iPhone campaign until the very end,” he shrugs. The agency also asked the photographers to sign a declaration that they owned the copyright to the photographs and that they were willing to let the agency use the photos for commercial purposes. The photographers were paid for the use of the images, but not as much as you might think. The eye-catching photos can be seen on posters and billboards all over the world. How’s that for an expansive art exhibition! “I was paid much better than I would normally be paid for a stock image,” Ison says, without wanting to divulge the exact amount. “Was it around $2,000?” I asked, picking a number out of the air. “It was less than that,” Ison admits. “The agency would drop hints, saying they were still selecting and curating the photographs, and would tell me I was still in the running, but also made it clear that nothing would be final until the billboards went up,” says Ison, adding that the four-month process was filled with mystery. He didn’t find out that his photos had made the final sift until four days before the billboards went up in locations around the world, but knows that his photos have been featured all over the place, including in more than a dozen magazines, smaller billboards all over the world and — the biggest compliment of all — on mural-sized billboards in San Francisco, Minneapolis, Milan, Berlin, Kuala Lumpur, Perth and Guangzhou. The photographers in the current Shot on iPhone campaign have tracked each other down on Facebook and are sharing each others’ photographs from buildings around the world. 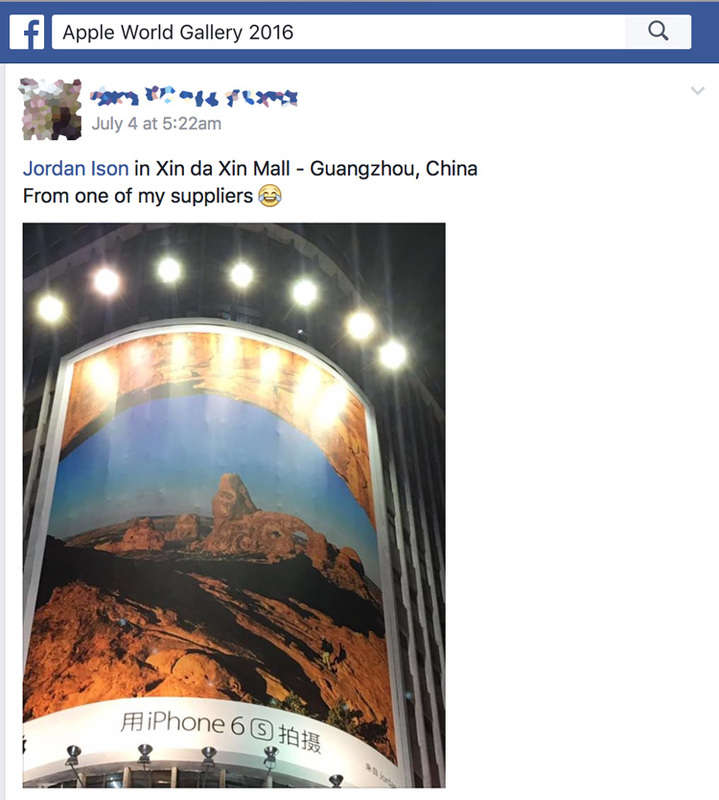 In this case, one of the group’s members found Ison’s photo covering the side of a shopping mall in Guangzhou, China. This year’s campaign was called ‘colors.’ Each of the photos is almost monochromatic. Want your photo to be the next to be lit up, featured, the size of the side of a building, in countries all around the world? Shoot on the most recent iPhone Apple makes. It doesn’t matter if you take an awesome shot with an iPhone 5 — they’ll only want to promote the most recent model iPhone. Tag your photos diligently on Instagram and make sure the rest of your Instagram feed is high quality, as well. Tagging with #shotoniphone and #shotoniphone6s is a good idea, but resist the temptation to spam your images with tons of hashtags. Keep the original files. Apple will verify that the photo was really taken by you and that it was definitely taken on the phone you claim you used; in this case, an iPhone 6s. Make it easy to find your contact details. The agency will have thousands of people to choose from; if you make it hard to email you, they’re not going to bother. Keep an eye on your email — you never know when you’ll get the tap on your shoulder!